Plastic Backed Nappies Explained | Paper or Plastic? 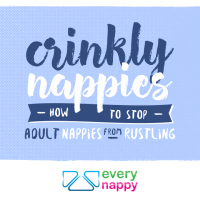 We have noticed quite a few people searching for washable adult nappies. 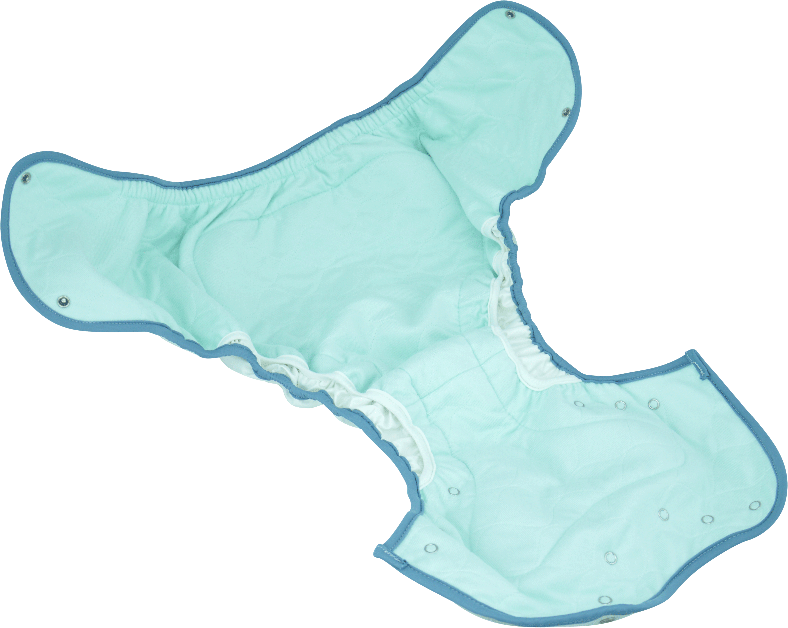 We have decided to write this blog post to inform people about the various options for washable incontinence products, and ask whether we should start stocking a washable adult nappy. If that's what you want, please add your name to our email list and you will be the first to know when we start selling them. Skip to email signup. Which is better? Washable or disposable? 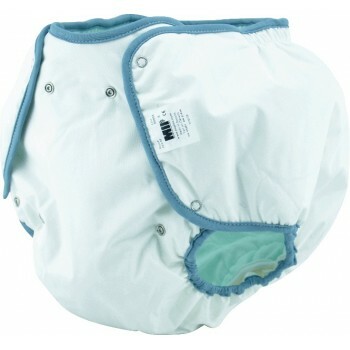 Where can I buy adult washable nappies in the UK? What Choices Are There For Washable Adult Nappies? Flat folded adult terry nappies - these are like the old fashioned baby nappies that were used before disposables became popular. Square sheets of terry towelling are folded and usually pinned together. These are then covered with waterproof plastic or rubber pants. The advantage with these is that the terry towelling configuration can be changed throughout the day by using a different number of layers or different folds to better accommodate the needs of the wearer, but we don't think there is a big market with this type of product as it's a lot of work for a user or carer to keep laundering and folding the many sheets that would be required to support an adult over one week. 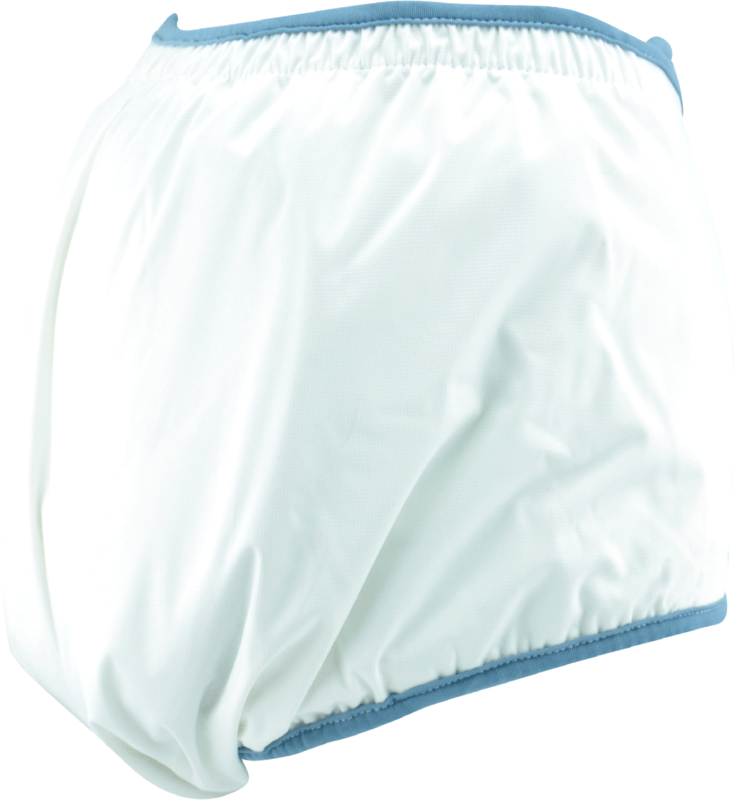 It is also more difficult to change these and any excess towelling will make the product very bulky which could be uncomfortable and not very discreet. We aren't looking into stocking these. 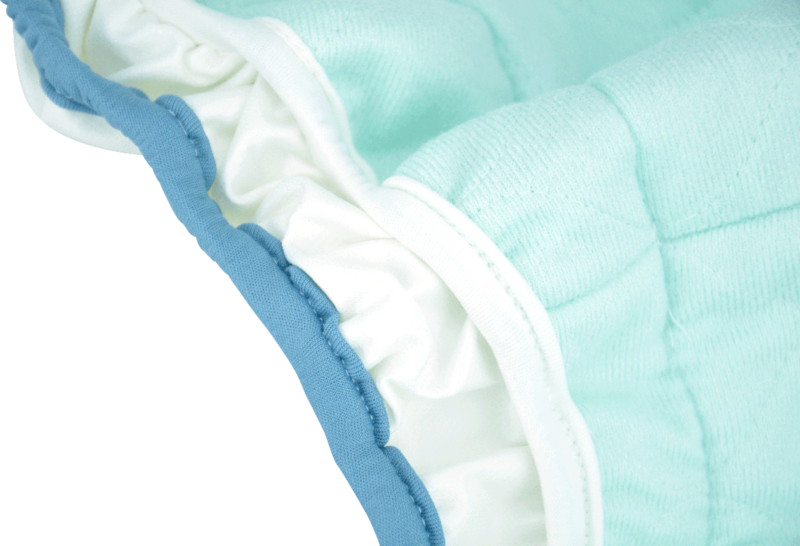 Pre folded and shaped adult terry nappies - these are terry towelling sheets that have been pre folded and stitched into a better shape. 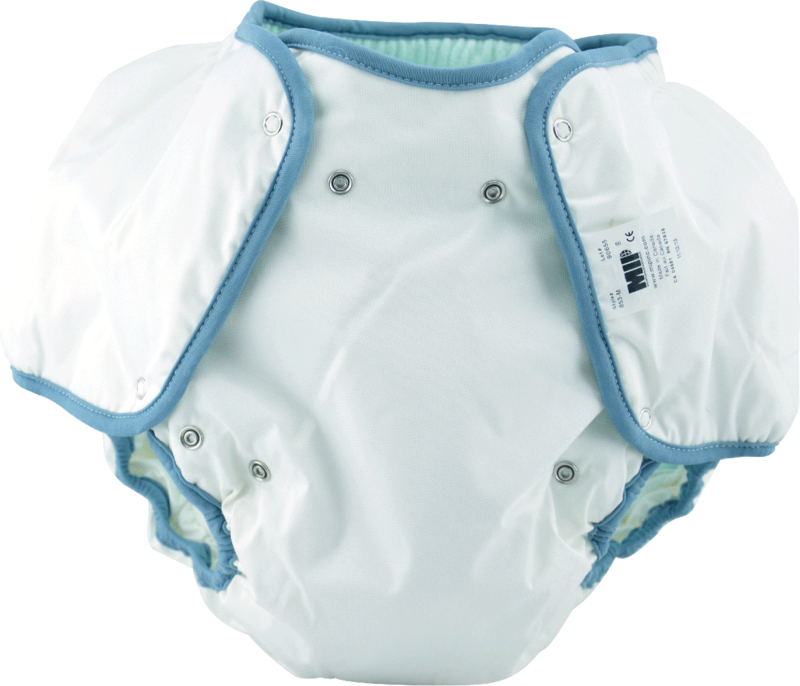 Several sheets are attached together and the leg holes are usually cut out to give the hourglass shape that disposable nappies have. They might also be finished with some sort of fitting like popper studs or buttons to fasten them. 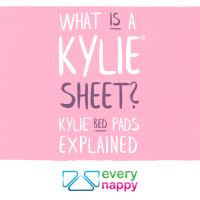 Sometimes these pre folded absorbent pads might be made from more advanced 3 or 4 layer absorbent materials (like a Kylie Bed Pad) which offers more absorbency and better skin care than simple terry sheets. These also need to be covered with waterproof plastic pants or rubber pants. These over pants might also be finished with popper studs or buttons to make them easier to change for less mobile people. All in one washable adult nappies - these have the absorbent materials directly attached to a waterproof backing material. They have popper stud fasteners on them to fasten them up. The advantages with a product like this is that more advanced leakage protection can be built in at the leg holes, the absorbent padding is self contained and the product is easier to apply as it can be fitted all in one piece. 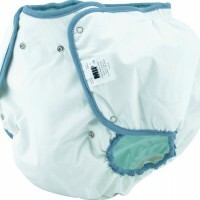 If we were to offer any kind of adult washable nappy it would be this one. 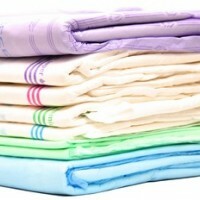 Why Use Washable Incontinence Products? 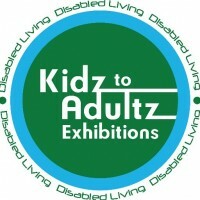 We have already sold thousands of kylie pants for men and women to people that have light incontinence. With those products the attraction is that the user doesn't need to buy disposable incontinence pads, and they don't need to change anything about their routine. 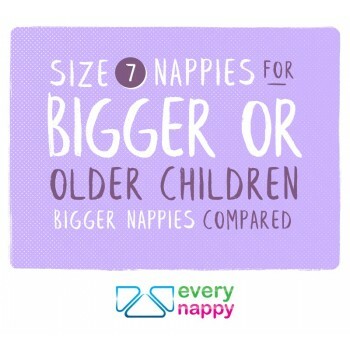 The reason for choosing a washable nappy might be different. Washable adult nappies will offer far more absorbency than Kylie or Kanga pants, which means that the user or carer can stop buying costly disposable products. There is also a lot of concern about what happens to soiled incontinence products. In a care home environment used incontinence products are usually stored up and disposed of in special biohazard incinerators. This leads to pollutants spoiling the atmosphere. In a private home they will be disposed of in the bin to put into landfill. As these products usually contain plastic, super absorbent powder and latex or elastic, these are non biodegradable so will remain intact in the ground forever. For those of us with an environmental conscience, neither of these options is appealing. On balance then a reusable product would be a more attractive idea. There is also the cost to consider. If I take our best selling disposable product in size medium and assume that a person gets only 3 changes per day (maybe that's too few but it seems to be a common number that people report being told by the continence service), that works out at around £3 per day and £1094 per year! If you are using more than 3 per day you can see how expensive this is. 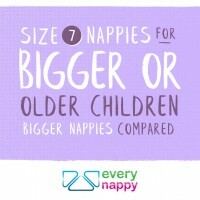 Compare that to the cost of 6 washable adult nappies and you can see why they might be popular. We think you would need a minimum of 6 to allow time for washing and drying. Which is Better, Washable or Disposable? Better is a loose term. We like to save our customers money, help them to deal with incontinence discreetly but effectively and have good health. Prolonged skin contact with urine leads to rashes and infections, which is bad for health. Simply put, washables might work out cheaper, they aren't very discreet but can offer good protection and washable products are not as good as disposable products for keeping urine away from the skin. If you really want to trust a product not to leak, most of the time disposables will be better. Their complex construction means multiple elastics at the legs, internal leak barriers and quick absorbing super absorbent powder. This means they are better than ever before at preventing leaks. If you want something to wear in bed to keep the worst of it contained then a washable product will work very well for that. 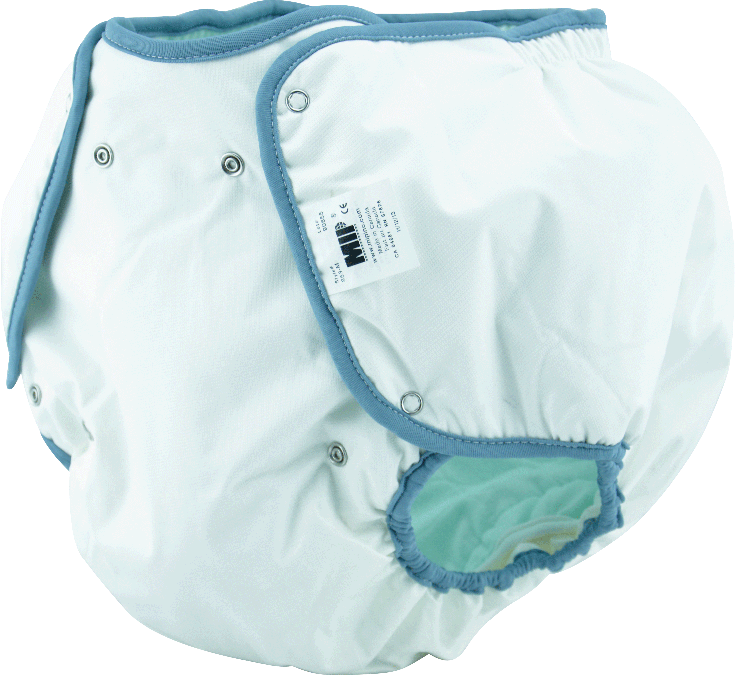 The technology in modern disposable adult nappies is all about keeping urine away from the skin. Rashes are no longer really a problem for modern disposables. Washable technologies though seem to vary quite widely in their ability to maintain helathy skin. 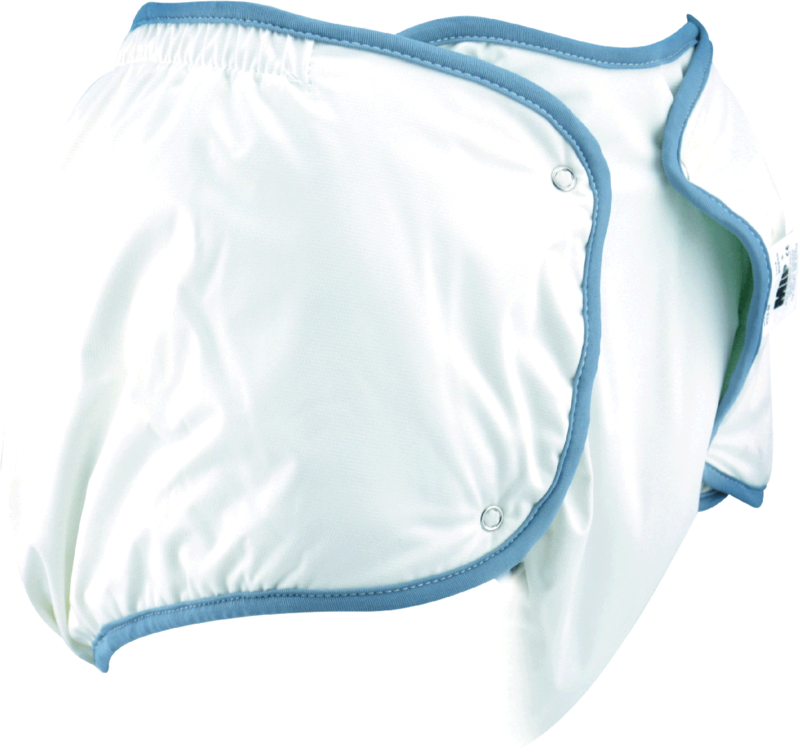 Folded or shaped terry towelling adult nappies make no attempt to separate skin from urine so there may be problems using these for people with sensitive skin. The all in one products often have a one way hydrophobic top layer which is a very effective way to keep urine away from skin so shouldn't cause skin conditions, but this will vary by the person. 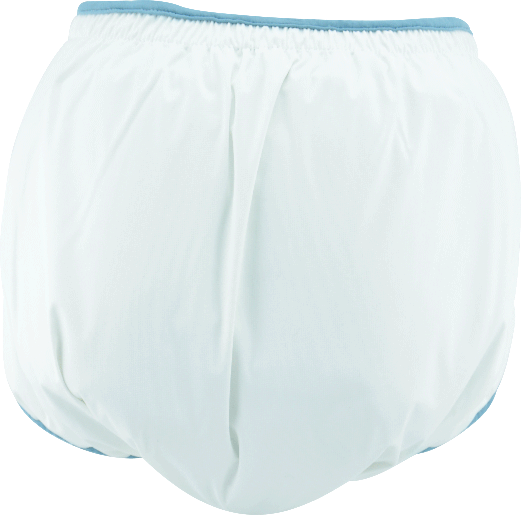 Adult washable nappies of any kind tend to be bulkier and thicker than disposables so may not be suitable for use during the day under normal clothes. The analysis given so far has covered the broad strokes of cost and environmental impact but there are other things to consider that might not be obvious on the surface. We have already looked at why disposable products might be considered bad for the environment, but are washables any better? Washables will contain a waterproof layer which is almost always made from some type of plastic, which is an oil derivative. They will also contain some man made fibres like polyester, another oil derived plastic. In order to make a material white, or any other colour, extremely toxic bleaches and dyes might be used. The act of washing in itself might also have an impact, think how energy intensive it is to produce clean water, pump it to your house, heat it to 90 degrees and then drain it, cleaning the detergents that you added at the water processing plant. This is a very energy hungry process. I can't tell you the lifetime of an all in one washable adult nappy but you have to make a calculation of not just the initial expense but also the ongoing cost. As previously mentioned as an environmental impact you need to look at the real cost of washing. Firstly, you must buy the product. 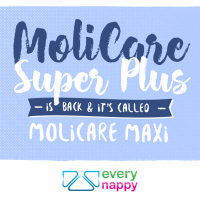 If you pay, for instance, the same for a washable nappy as you do for for 56 MoliCare Super Plus, can you be sure that you can wash your nappy 56 times without it falling apart? If not, you aren't saving much money. The next question you need to consider is washing and drying. If you put 3 of these in the wash every day, add washing powder, use water (that might be on a water meter), heat your water with your boiler and use the electricity to run the washing machine, how much do you think that will cost per wash? As these products are made from highly absorbent layered fabric, drying them on the line might not be easy either, which means you might need to tumble dry them. Tumble dryers are notoriously high energy consumers. Once you have added up the cost per wash and the cost of purchase, do you make a saving on buying disposable incontinence products? We haven’t done enough research to answer that question, but if you are considering making the change to washables then these are questions you might want to consider. 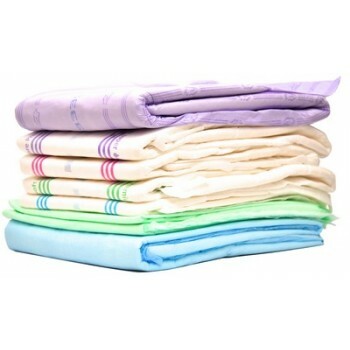 If a disposable product is made in a sustainable way such as the Nordic Swan marked Abena Abri Form nappies, are the washable products produced in such an environmentally friendly way, and do they continue to be better for the environment when washed if compared to the Abena products that are free from toxic chemicals and safe for landfill? These are questions that you will need to ask yourself, we have no answers but will hopefully help you to understand the pros and cons of each. 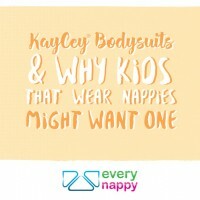 I'm sold - where can I buy washable adult nappies in the uk? We wrote this blog post to try to figure out whether we should sell them or not. If you want to buy this product from us please enter your name and email address below. We will keep you updated and should we decide to stock them, you will be the first to know. The images in this article are of the actual product that we would supply. I just came back by occasion and saw your answer who took 6 Months to answer. Thats a bit long for an answer. By clicking your link, there was nothing ... Why don't you answer direct to my email address instead of here? Welcome back Hans - the reason for the delay in answering your original query was that at the time we weren't selling the product. When we were, we sent you a message on the blog and via email on 12/02/18 about delivering to Switzerland. 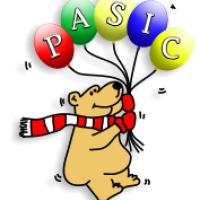 Unfortunately we had some difficulties delivering the product, so decided to discontinue it - hence the link is now dead. Very sorry.If we ever stock a suitable replacement I'll be sure to let you know. I believe that washable nappies (diapers) should be available for those who need them, or those who want them. Will there be costs involved? Of course there will. They may cost $35-$40 per diaper (you do the math, and you'll figure how many British pounds it'll cost. But unlike with disposable nappies, you can wash them and then use them again, thereby reducing needless waste in the landfills.